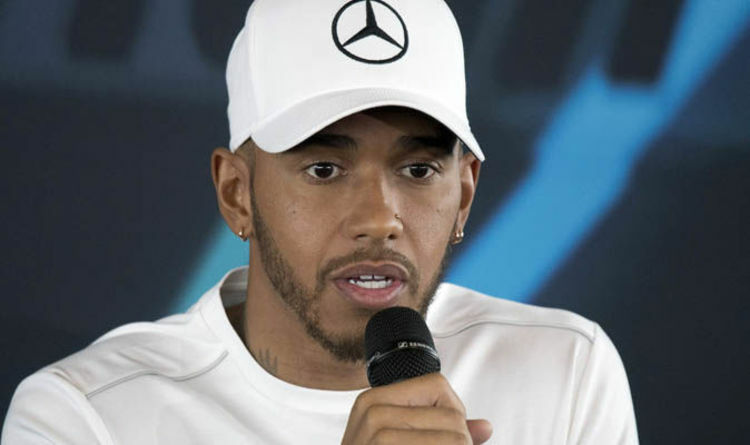 The new F1 campaign will kick off next weekend at the Australian Grand Prix, where Hamilton will be aiming to deliver Mercedes yet another Championship. The 33-year-old is aiming to win the title for the fifth time in his career after his triumph last year, where he beat Ferrari’s Sebastian Vettel. And Lewis Hamilton feels Mercedes can again take the crown and has praised staff for their work over the past few months. "When I come to the factory at the beginning of the year and see the car being designed and built in all these different areas, I am always fascinated," he said. "The parts are brought together and make such a work of art. “I am just amazed at what everyone is able to achieve and I can only say that it is the greatest feeling in the world when I get to that first test and get in the car. "I feel incredibly blessed to be one of only two people to get to drive this machine. "Everyone's done an incredible job and I want them to know we'll be giving it everything going into the first race and hopefully get the best of the Bulls and Ferraris,"
"It's really encouraging, being my sixth year with the team, to see how motivated everyone is. "I think that's something we all have in common. Everyone's continuously pushing to better themselves, their work and take it to the next level. "The unity I have seen develop at this team over the years, there is nothing like it. “It is hands down the best team because we all work together, and that's really inspiring for me. "I will give it everything this season, title number five is the ultimate goal. Let's go for it!"